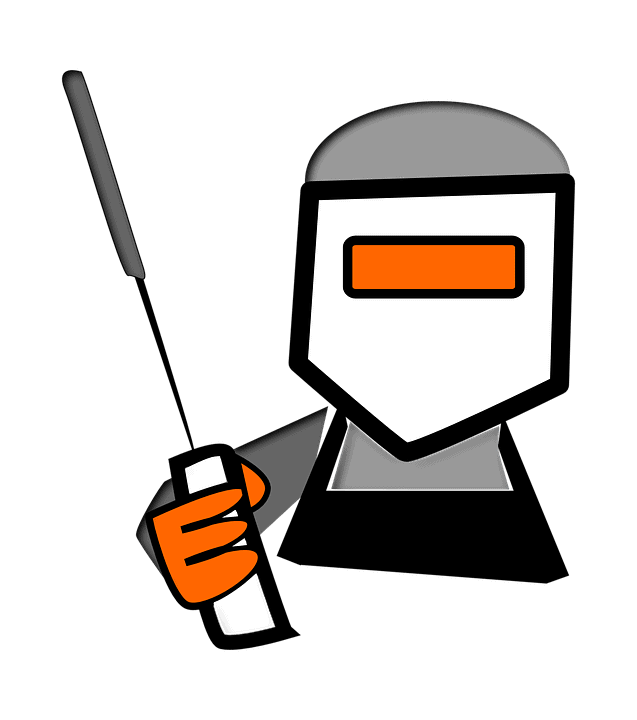 What is stick welding? It is an informal term for shielded metal arc welding or SMAW and is an arc welding process performed manually that lays the weld using a consumable electrode covered with a flux. It’s a process deemed difficult to learn by a lot of people, but don’t worry, we’ll help you overcome the struggle. We can remember them better through their acronym CLAMS. In this article, we’ll help you realize how important each of them is in achieving the best stick welding results. But before we go and explain the CLAMS for you, read the three P’s first. Stick welding is ideal for rusty and dirty metal, but that doesn’t mean you don’t need to clean the material properly. You have to prepare thoroughly to eliminate possible problems in the future. For instance, be sure to remove rust, grime, and dirt using a grinder or a wire brush from whatever you’re about to weld. Not doing so will decrease your chances of making a good weld. Remember, refusal to clean properly can cause lack of fusion, cracking, and porosity. Also, a clean spot for your work clamp is needed for the cleaning of the material. That’s because you’ll need a solid electrical connection to preserve the quality of the arc. You also need to position yourself properly to get the best view of the weld puddle. To do that, make sure you keep your head to the side and away from the smoke. Doing so will allow you to see that you’re still welding in the joint and maintaining the arc on the leading edge of the weld puddle. Your stance should also be comfortable, making it easy for you to manipulate and support the electrode. Your machine can be set in AC, DC positive, and DC negative and the decision depends on what electrode you choose so make sure it’s correctly set for the job. Here’s a tip: DC straight polarity and electrode negative welds thin metals better than electrode positive. The latter gives off about 10% more penetration at a given amperage than AC. The type and diameter of the electrode will determine the correct amperage setting so it’s best to read the manual. The manufacturer of the electrode typically tells you the electrode’s operating ranges in the manual or on the box. You have to choose the amperage based on the electrode, your welding position (approx. 15% less heat for overhead work than flat weld), and the visual inspection of the finished weld. When you adjust the power source, do so by 5 to 10 amps at a time until you reach the ideal setting. You have to be very cautious about setting the amperage because if it’s too low, the arc may stutter or keep going out while keeping the correct arc length or your electrode may be sticky when striking an arc. On the other hand, if the amperage is too high, the weld puddle may be overly fluid and difficult to control or the arc may sound louder than the usual. Excessive heat can even negatively affect the properties of the electrode’s flux. You’ll know you’re in trouble if the electrode begins to glow. You wouldn’t want to see that for yourself, though. Just so you know, the right length of an arc is different for every electrode and application. For starters, the arc length must not be more than the diameter of the metal portion or the core of the electrode. For instance, a 0.125-inch 6010 electrode should be held about 1/8 inch off your base material. It’s also not advisable to hold the electrode extremely close to the joint as this will reduce the welding voltage; when that happens, an irregular arc will be created and it may put out itself or make the electrode freeze faster. And the result? A weld bead with a high crown. Meanwhile, very long arcs with too much voltage will produce splatter, undercuts, and low deposition rates. Undercuts occur when the region outside the weld is recessed or concave. This is why long arcs cause porosity. If you’re a beginner, it may seem normal to use a long arc to give you a good view of the arc and the puddle. However, this isn’t normal and recommended at all. To get a better view, all you have to do is move your head. Never use an arc that’s too long; simply adjust your body until you find a comfortable and good position which will let you see the puddle while allowing you to maintain and control the electrode. Remember: A controlled, tight length of arc heightens your chances of having a better bead appearance and a narrower bead. It can even make you say bye-bye to splatters! If you want to stick weld in horizontal, flat, and overhead positions like a pro, you need to use a backhand or a drag technique. You have to hold the electrode so that’s it’s perpendicular to the joint before you tilt the top in the way of travel about 5° to 15°. If you’re going to stick weld vertical-up, you need to use a forehand or a push technique, then tilt the top of the electrode to 0 to 15° away from the route of travel. It may sound easy but the execution needs a few practices before you can perfect it. This part is personal since a certain welder controls the electrode differently than others. It’s best to develop a style of your own by practicing, observing others, and taking notes of the techniques that yield the greatest results. When you’re about to weld a material that’s ¼ inch or thinner, forming the electrode isn’t a necessity because if you do so, the bead will be wider than needed. More often than not, a straight bead is all you need. Need to create a wider bead on a thick material? Manipulate the electrode from one end to another. This motion will create a constant series of slightly overlapping circles in a semi-circle, stutter-step, or Z pattern. Remember to restrict side-to-side movement to 2.5x the diameter of the electrode’s core. You can make numerous passes or use stringer beads if you want to cover a much wider area. 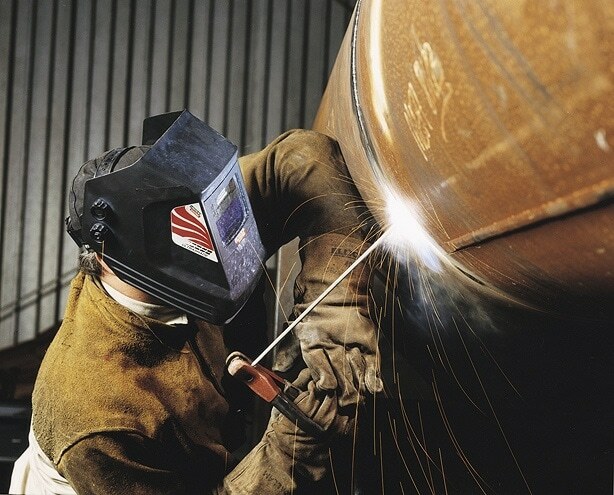 If you want to weld vertical-up, you just need to concentrate on welding the joint’s sides because the middle part can take good care of itself. To make sure this happens, you would want to move across the joint’s middle slowly to allow the weld puddle to catch up then pause a little at the sides so that there’s a firm tie-in to the side wall. Don’t move forward too swiftly! This will make your weld look like fish scales. Fish scales also show up if you didn’t hold long enough on the joint’s sides. You know you’re applying the correct travel speed if it lets you keep the arc in the leading 1/3 of the weld pool. Note that if you travel too fast, the penetration will decrease and that will produce a narrow or a highly crowned bead, undercuts, or underfills. If your travel speed is too slow, it’ll produce a wide and convex bead that has a shallow penetration. You may even have the cold-lapping problem, where the weld looks like it’s just sitting on material’s surface. In short, your travel speed should be moderate; don’t be in such a hurry and don’t be like a turtle too! Trying to pull all the CLAMS together isn’t going to be a piece of cake but with a lot of practice, you can perfect the technique and have the right to be called a pro. It’s similar to MIG welding and TIG welding, if you don’t practice, you can’t be a pro. So, just get used to putting importance to the CLAMS and it’ll become your second nature.